FlyNovex short-range multi-rotor UAV | IDS Ingegneria Dei Sistemi S.p.A.
FlyNovex is a short-range multi-rotor UAV designed for its flexibility of use. It is lightweight, reliable and simple to use with flight being controlled either manually, automatically or via GPS. 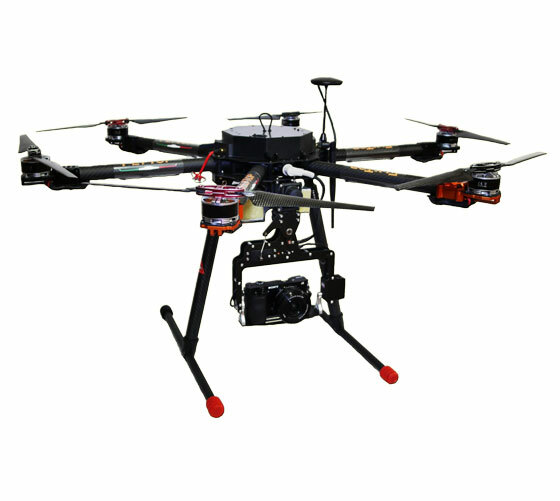 It can use either a two axis or a three axis gimbal and can mount a variety of sensors including cameras, camcorders, thermal cameras and hyper-spectral, multi-spectral or Lidar sensors. Once in the air, FlyNovex strictly follows a flight plan (unless interrupted by the pilot), allowing it to acquire information at a specific frame rate and speed and therefore enabling it to perform high quality aero-photogrammetric and precision agriculture surveys. Equipped with a return to base function, a parachute and a flight termination feature in, FlyBit is extremely safe, especially as it is able to continue flying with up to two engines out of use (not on the same arm). It can be flown in automatic, GPS or manual mode with the pilot able to intervene at any time if necessary. to discover more about this product, please visit FlyNovex page on FlyTop website. fuller range of options to the market. In collaboration with ENAC authorized partners, FlyTop also offers theoretical and practical training courses to UAV pilots.